Director of the Institute for Peace and Democracy, Leyla Yunus, will hold on June 23 at 12:00 in her office at the address. Nizami house 63, quarter 30 the first presentation of the Repression Resistance Center (RRC) by the Azerbaijani counterpart “Magnitsky List”. In December 2012 the United States adopted the Magnitsky Act, introducing personal sanctions against those responsible for violations of human rights and the rule of law. According to the law, was drawn up a list of Magnitsky of 60 Russian officials and law enforcement officers who allegedly were involved in the death of Sergei Magnitsky, the auditor of the investment fund Hermitage Capital, in custody. Names of officials were not disclosed. The list was compiled by U.S. Senator Benjamin Cardin. Personal sanctions are introduced against persons from that list, they are prohibited from entering the USA for human rights violations. It is also possible financial penalties. 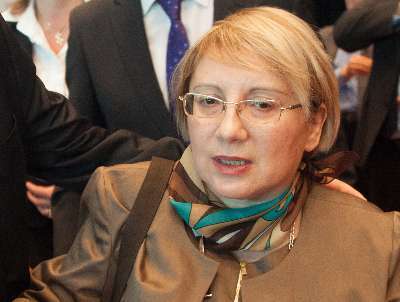 In Azerbaijan, opponents of the government have repeatedly raised the issue of the application of the List of Magnitsky against human rights violations by the Azerbaijani officials, judges, etc. This entry was posted on 21.06.2014 by ƏDALƏTSİZLİKLƏ MÜBARİZƏ.